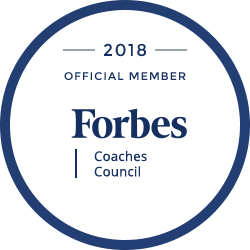 Anisa Aven founded TurnKey Coaching & Development Solutions because of her desire to see the benefits of professional and personal coaching experienced by more than just C-level executives and the wealthy. She has devoted herself to the study of human potential, the principles of conscious success, and the evolution of the social entrepreneur. Anisa has been called “one of the world’s top manifestation experts”. She has been featured, translated, and published internationally. 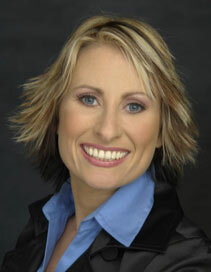 She is one of the 24 experts featured in ManifestLife.com’s Conversations with the World’s Top Manifestation Mentors. In the recently released Life Transformation Project, she is one of 12 teachers with the title “world’s top life transformation experts”. Anisa is a contributing expert within Bob Doyle’s Wealth Beyond Reason program. Bob is one of the featured experts within The Secret movie. Anisa is also a successful author in her own right. She has a gift for communicating the power offered in the Law of Attraction (LOA). “Quick Manifesting Morsels”, Anisa’s weekly online eZine”, has more than 40,000 subscribers from around the world. Anisa is a frequent guest on radio talk shows, previously serving as the Law of Attraction Expert and the Relationship Expert for Wisdom Radio, the Scott Cluthe Show, and Wisdom Today Show, all broadcast on SIRIUS satellite radio. She continues to entertain radio audiences around the world as she is often invited to appear as the guest expert covering relationships or law of attraction. Utilizing her stand-up comedy and theatrical background, Anisa is a compelling, energetic and inspirational speaker. Popular topics range from corporate management and business topics to life purpose and individual passion. Here are just a few samples. Social and Spiritual Entrepreneurs: Creating Prosperity, Success and Social Change all at the same time. Ancient Principles and Secret Laws! How to Create a Celebrated Life with the Power of the Mind. Anisa has been an entrepreneur from the tender age of 10 when she opened her first business—a snack bar—in her father’s antique auction house. She has had many adventures in the world of business, including marketing, sales, talent management and even children’s videos. She founded Classic Talent Management in 1989, launched a small business consulting company in 1992, created NetVision Marketing in 2000, participated in the rapid expansion of the new entry True.com in 2004, and then later that year launched TurnKey Coaching Solutions. She continues to enjoy coaching and consulting a select group of private clients as well as her management responsibilities for TurnKey. Anisa’s favorite role is having the honor of being Parker and Ashlyn’s mother and partner to “her honey”, Quentin. Committed to her family, Anisa is able to run a company and still have time to coach their little league T-ball teams. In pursuit of her personal passions, Anisa co-founded the only democratic, free school in Texas (the Brazos Valley Sudbury School) and considers herself an activist for children’s rights.